In the Martin & Sylvia: Saturdays! 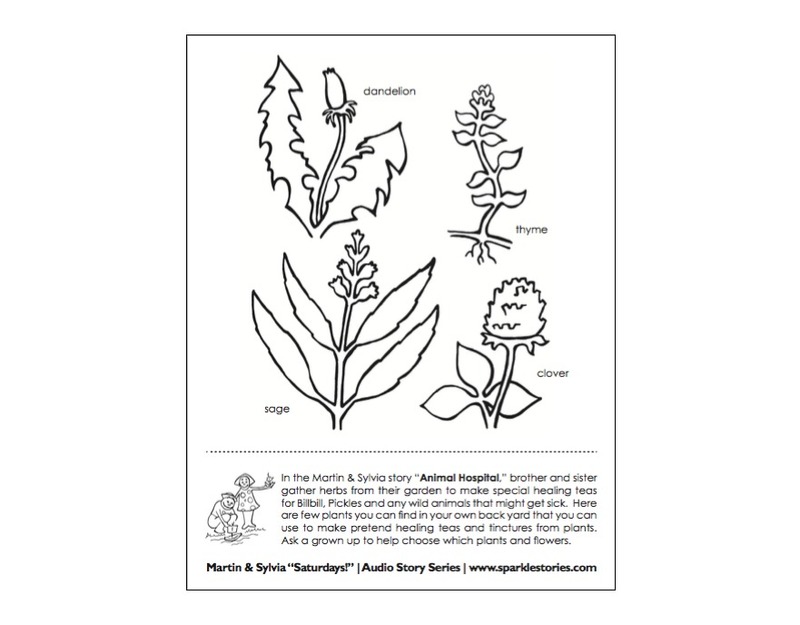 story “Animal Hospital,” brother and sister gather herbs from their garden to make special healing teas for Billbill, Pickles and any wild animals that might get sick. Here are few plants you can find in your own back yard that you can use to make pretend healing teas and tinctures from plants. Ask a grown up to help choose which plants and flowers.